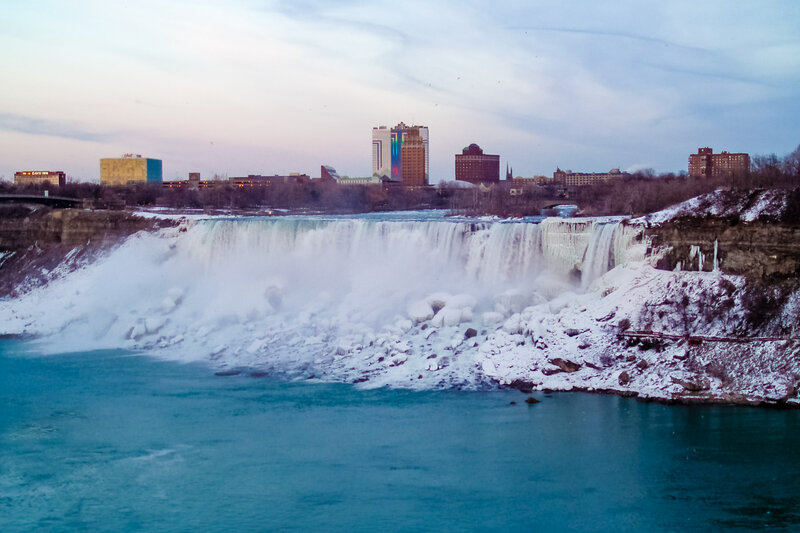 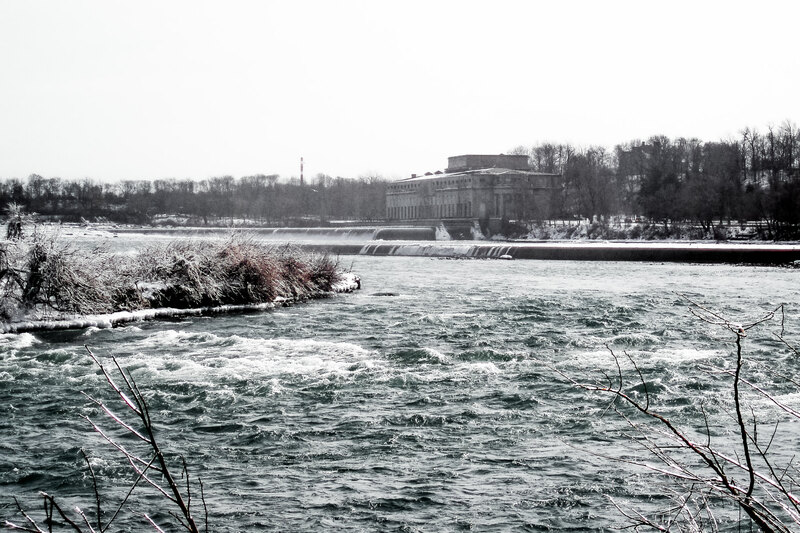 The American Falls at Niagara Falls as seen from the Canadian side of the border on a cold winter evening. 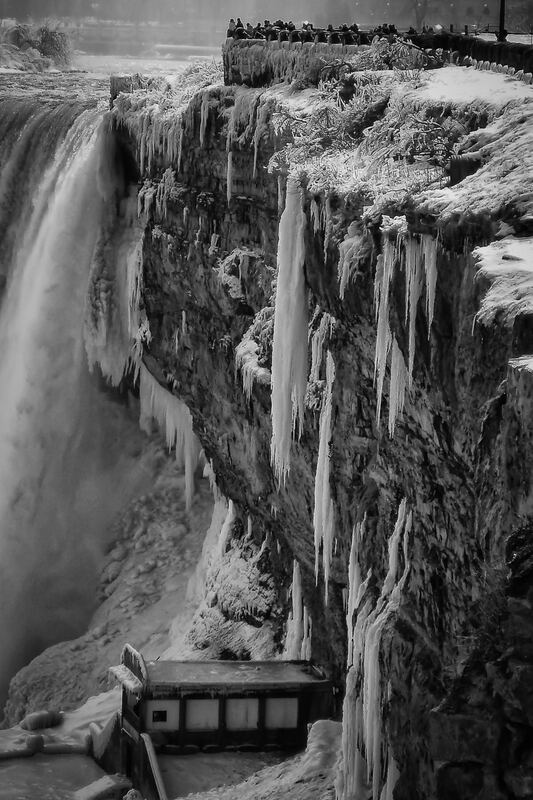 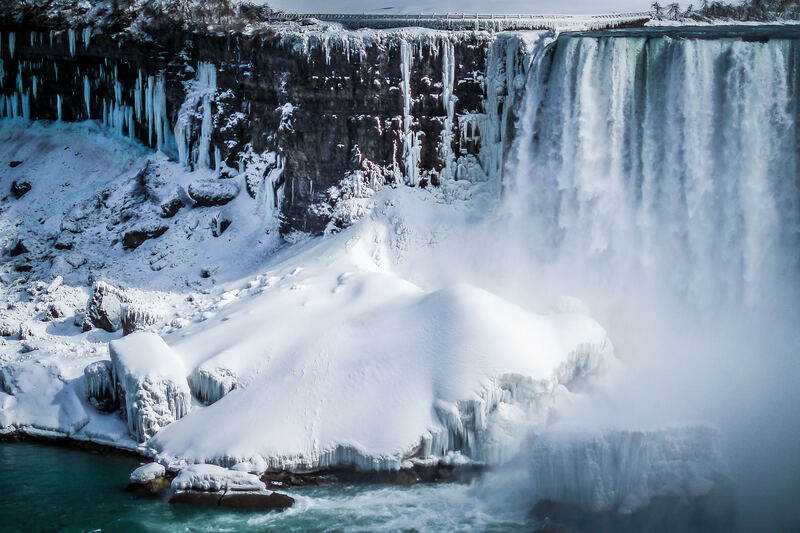 The American Falls at Niagara Falls, frozen in the winter of 2006. 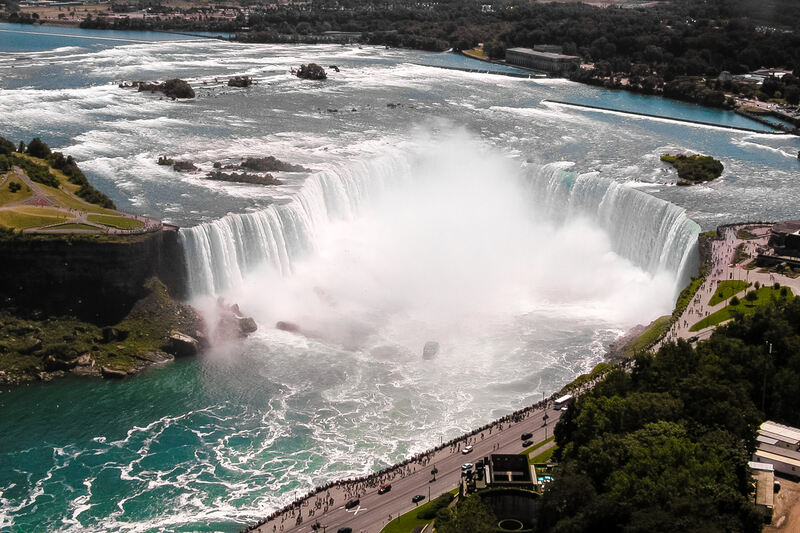 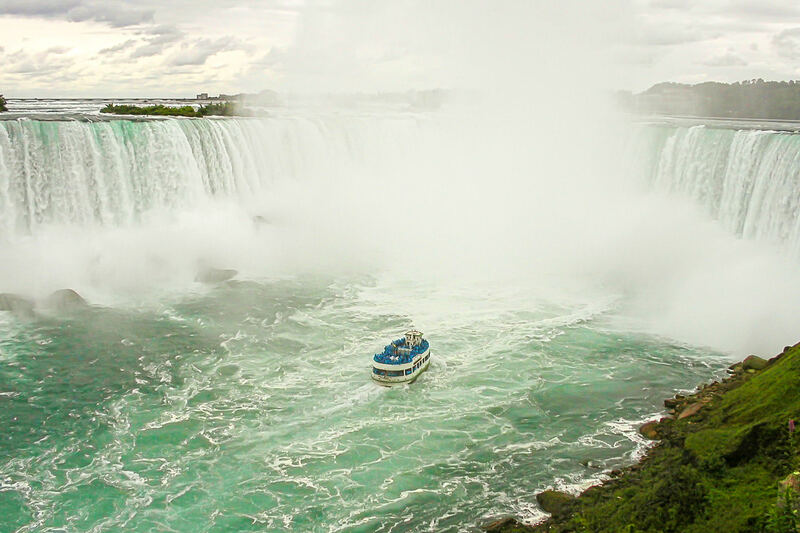 Tourists on the Journey Behind the Falls tour at Niagara are dwarfed by the Horseshoe (Canadian) Falls.